This summer was filled with many adventures. First, we were in Turkey for a month for the end of Ramadan and Eid holiday. Second, my parents came to visit us for about three weeks and now we are nearing the end of August with a new adventure on the horizon. 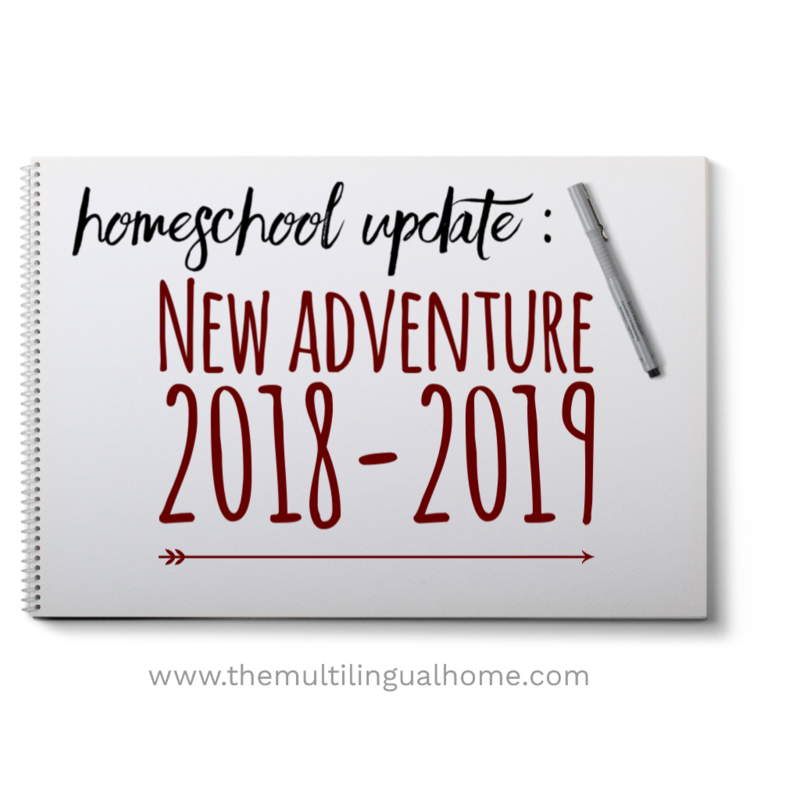 This upcoming year, I planned to homeschool my children but between all of our adventures and my other responsibilities, it has been near impossible to get any school planning done. I have a rough draft of what I would like to do with ideas listed out but I just haven’t had a chance to get a plan in place. I’m a planner type of a person, so it has to be all written out no matter what. All I have talked and thought about recently has been homeschooling and I am becoming overwhelmed ! I asked for help with my frustrations and stress about the upcoming year. I went back and forth thinking about having a relaxed homeschool year versus having mapped out plans. It was becoming a jumbled mess of information. I was becoming a mess. This week on Monday, we had to go get an important administrative paper for the prefecture adventure so that we could renew Miss F’s card. The prefecture adventure didn’t go as planned because we were still missing one paper, it’s the prefecture so nothing new. As we were getting ready to leave, I noticed that the Islamic school where we thought of sending our kids had called and left a message. I said a short prayer hoping that it was the answer to my prayer. Back in March, the day before I would need to submit the official paperwork to send the kids to school, one of my friends suggested I check out all of the Islamic schools in our area to see if there would be a place for Miss F at least. I found one and I submitted an application right away. I never heard back from them. When we were in Turkey, we received a message that they were awaiting confirmation from us, we need to let them know if the kids were going to be attending or not. We decided that we were going to homeschool another year before sending both kids, so we told them that we weren’t interested. Right before my parents came in early July, I asked the school if there were any more spots left, because I could feel the overwhelm and stress coming. I thought that since they just got accredited and approved for their new building that maybe, just maybe they would have spots fot the kids. But they didn’t. When I called the school back, the secretary told me that there were two spots open : one in the class for Mr. Z and one for Miss F. It was the answer to my prayer – Alhamdulillah (Thank you Allah). We ended up going on Thursday to officially sign them up and hand over our confirmation aka bank information. So the kids are going to school this year.. They are excited for the most part ; we’ve been discussing what happens in a school that isn’t at home and have been preparing for the big day (link coming soon). I have mixed feelings about the kids going to school, but it is what is the best thing at the moment. We will still be doing shelf work and some worksheets after school something I’m going to call “homework” (link coming soon). I know Miss F was at least really looking forward to our space unit for September, so I decided that we can continue learning at home too following their interests. We will also be spending time reviewing our Quran and Islamic inspired lessons for the week in the morning before school, so all those homeschool ideas really aren’t going to waste. Sometimes we have to do something that is best for us, even if we aren’t 100% content for it. And here we are off for a new adventure!